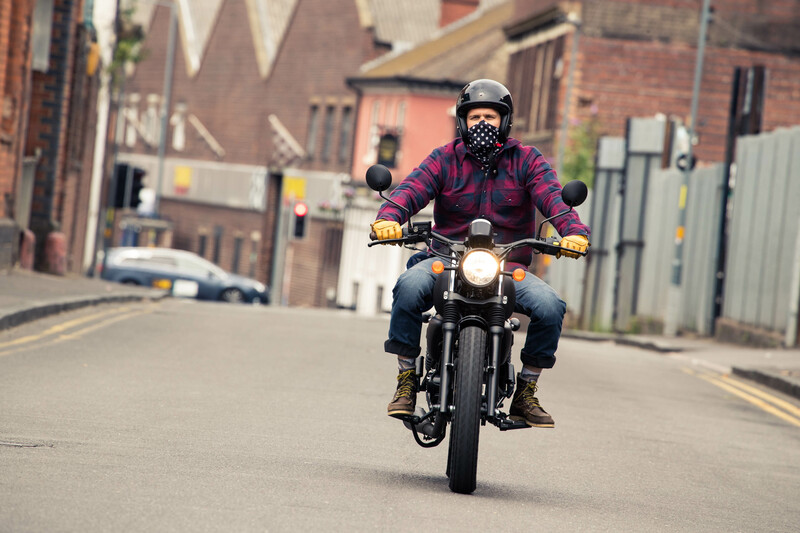 Flick through any of the major social media sites and it is highly likely that you’ll stumble across a multitude of shots that include some cool dude or dudette astride a motorcycle. 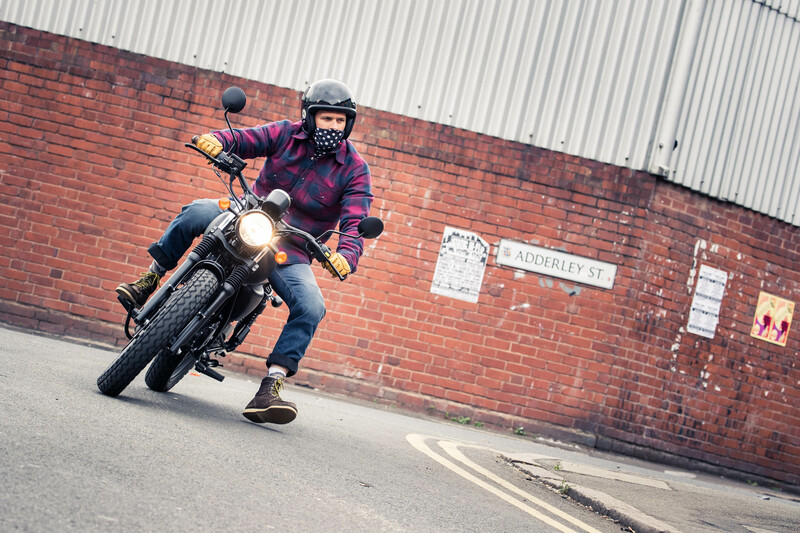 It doesn’t matter if said cool dude or dudette can actually ride said motorcycle, because right now, two wheels are very much en vogue, especially if those two wheels have been customised to the current tastes. 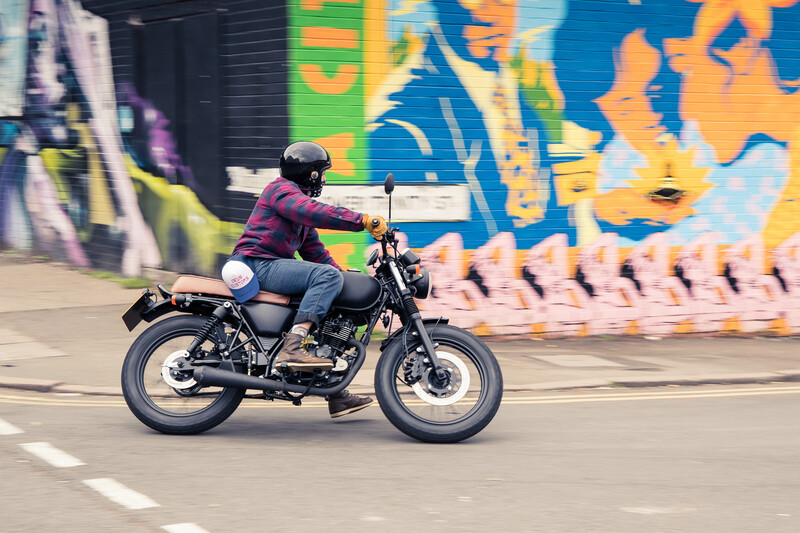 Matte black machines, most of which are loosely based on old British bikes, with brown seats, wide bars and knobbly tyres seem to attract the most ‘likes’, which is why the Mongrel you see before you is Mutt Motorcycles’ best-selling model. However, this little blighter isn’t like your typical customised street tracker, because its moving parts are brand new and ultimately reliable and it costs under £3,000 – try achieving either of those points with an old British steed. 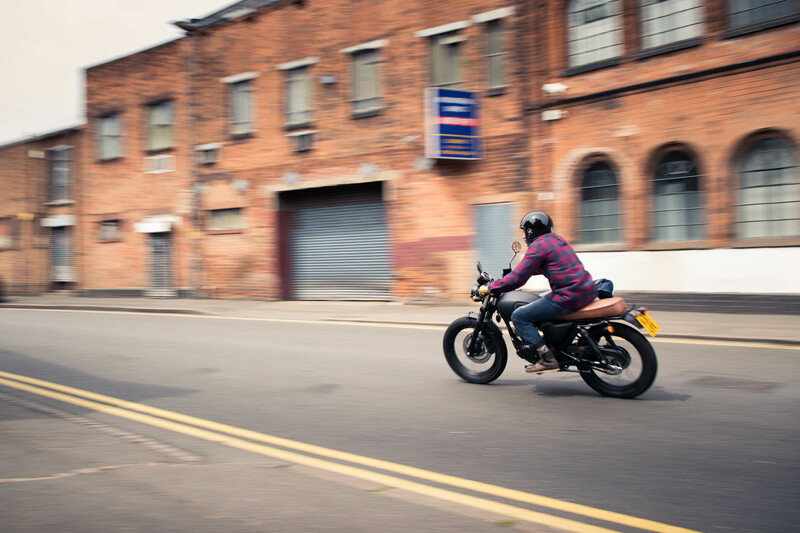 See, the guys behind Mutt Motorcycles have spent years dealing with rickety old custom creations that blow minds with their overall aesthetic but also tend to blow up when ridden any distances. As such, the boys spotted a gap in the market for something cheap, reliable but ultimately stylish and its range of hip 125cc bikes nails that brief. The engine and oily bits are made in China, as are many of the finishing touches, but it is all assembled in Mutt’s Birmingham HQ by hand. So theoretically, a customer can request any bespoke touch he or she likes for an additional fee. The end result is a cool little bike that will happily battle the daily commute without breaking the bank… or breaking the rider. First thing to notice when throwing a leg over is how well the Mutt Mongrel disguises its relatively puny 12hp engine. The saddle height is about right for the everyman, the bars nice and wide, while the seating position is upright yet comfortable, but the chunky body work and additional features make it seem more muscular than it is. 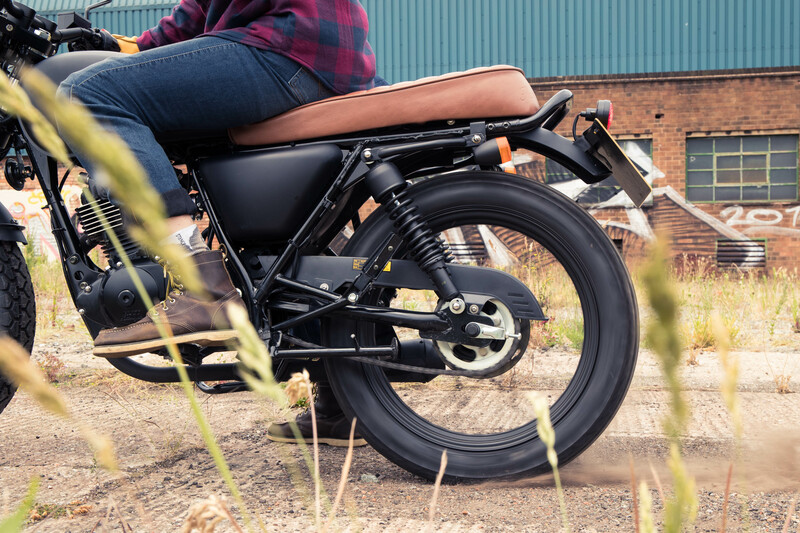 All new Mutt bikes are EU4 compliant, so the 125cc engine is fuel injected and requires a brief wait for the electronic gubbins to do their thing before the ignition button is ready to be thumbed. 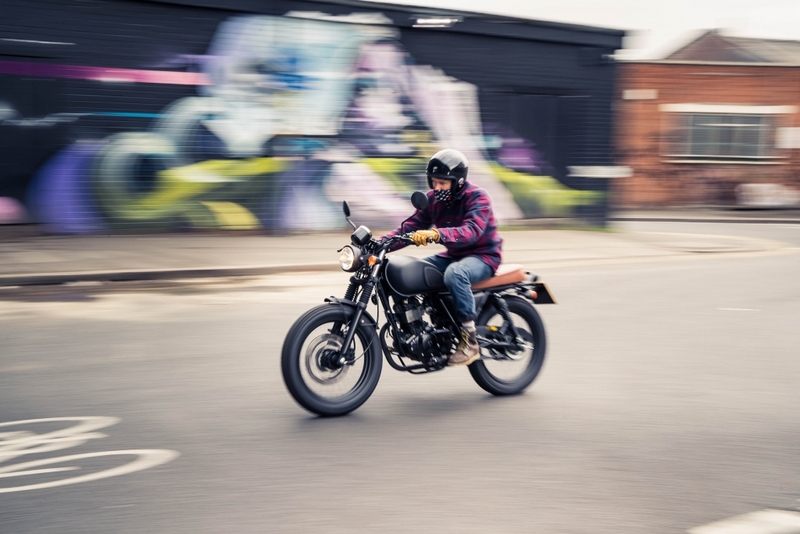 The Mutt Mongrel fires up with the ease of any modern machine and settles into a pleasant, throaty idle, the matte black silencer tweaked to emit a tone that belies the engine’s capacity. 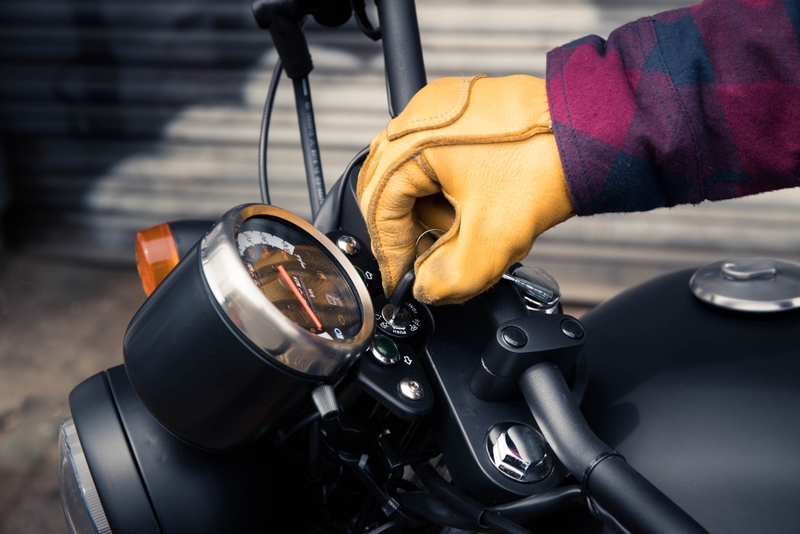 Twist the throttle (a bit more than you would typically need if you’re used to larger bikes) and ease out the surprisingly weighty clutch to get things going. Naturally, the Mongrel requires plenty of gas to get things moving but the best approach is to give it full beans pretty much everywhere for the best results. And the results are hilarious, even on the inner-city streets of the test route I regularly felt like sticking a leg out and encouraging silly, Motocross-esque lean angles into corners. The brakes are strong, although the front lacks a bit of feel, and the suspension is well judged. In fact, it feels like the Mongrel could probably handle a bit of an off-road battering before it started to complain. Experienced riders will lust after more grunt and although the Mongrel possesses a claimed top speed of 70mph (for stick-thin owners, perhaps), it’s not exactly a rapid ride but plenty quick enough for nipping in and out of traffic. 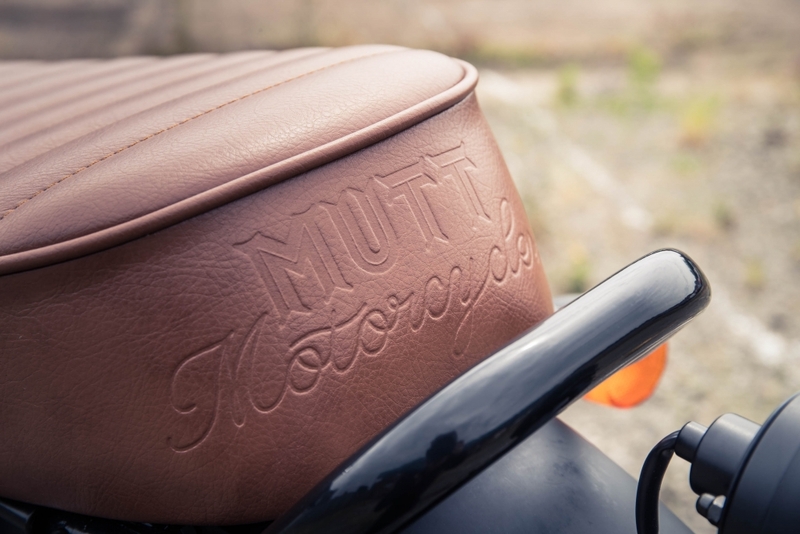 The good news is that Mutt is releasing a 250cc version soon, with chunkier 400cc models in the pipeline. Plus, the upshot of this right-wrist tomfoolery is the addictive engine note that’s emitted from the exhaust. It’s a far cry from the wasp-in-a-tin-can soundtrack of two-stroke rivals. 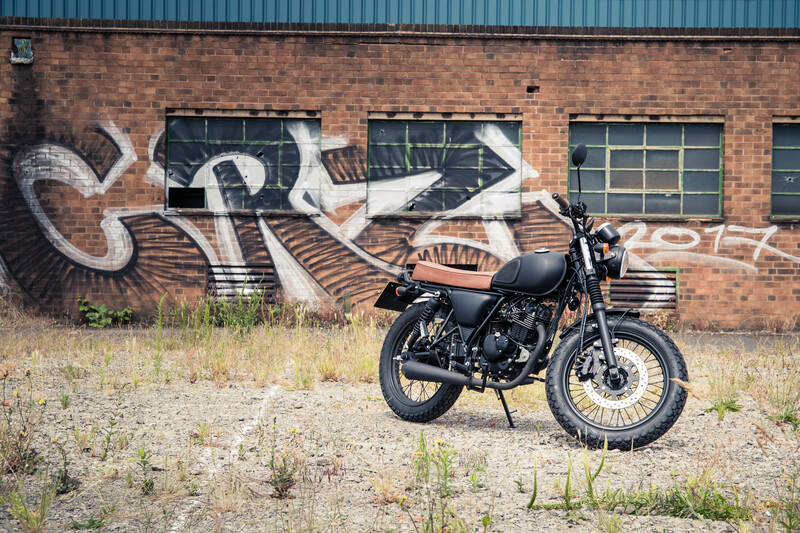 As previously mentioned, the Mongrel is just one of many variations offered by Mutt but all are based on the same – or very similar – twin-shock, 125cc platform. For example, the Baja Mutt features a hand-painted tank and 70s chic livery, as well as a bespoke upholstered seat and knobbly tyres to give it that Desert Thumper aesthetic. 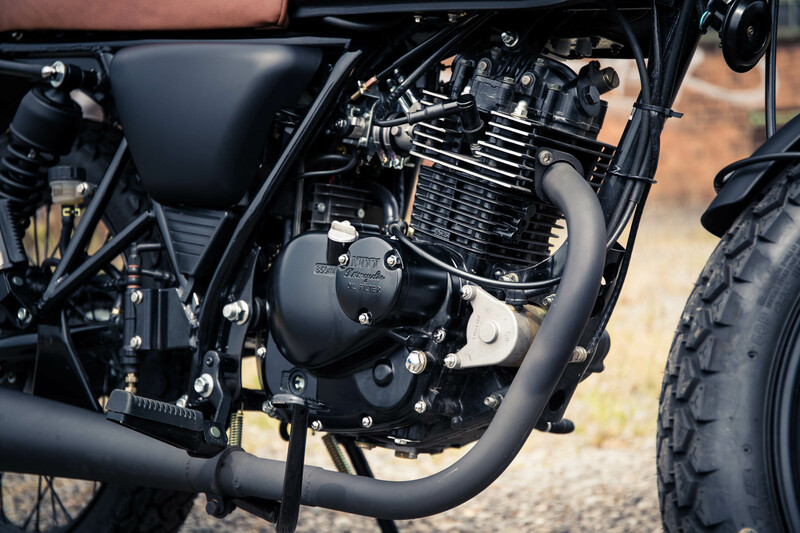 There’s a DirtQuake Mutt, complete with swept-back Flat-Track bars, as well as a Mushman Mutt that’s heavily influenced by Steve McQueen’s racing alter ego and his favoured Triumphs. In fact, drop the Mutt boys an email and they will pretty much deck your motorcycle out in whatever little bespoke flourishes you want, but expect that £3k machine to rapidly tickle the £4.5k mark. The ready-made Mongrel is by far and away Mutt’s top seller, with its matte black paint job and brown seat proving a big hit with the social media generation. 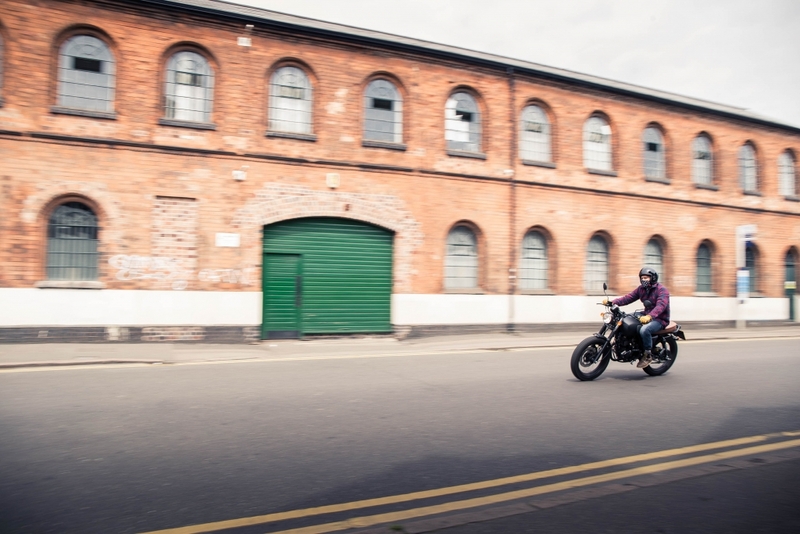 But one of the benefits of being a small bike builder is that Mutt can listen to customer tastes and will rapidly ramp up production of ay limited edition machines that seem to be doing well and pass on those savings to customers. As for the bikes themselves, there are a few question marks over the quality of certain finishing touches. The clocks, for example, feature a strange digital gear indicator that looks like it has been lifted from an old Casio calculator. 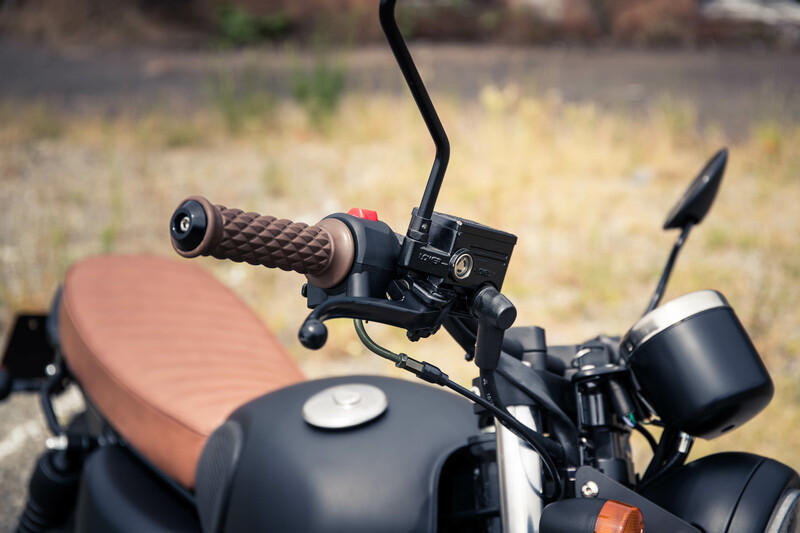 The throttle assembly feels a little plastic-y, the front brake doesn’t feel as progressive as more expensive rivals and the mirrors simply need to go. But these things can be forgiven, as Mutt actively encourages its customers to add their own personal touches and swap out any bits that don’t tick the right boxes. It is very difficult to compare what Mutt offers to any of the mainstream rivals out there, because it is such a unique approach. The asking price of a Mutt Mongrel would only stretch so far as a pretty basic Honda scooter and you’d need to save a few more pennies to afford something like a Suzuki Van Van, but neither of these examples truly compare. 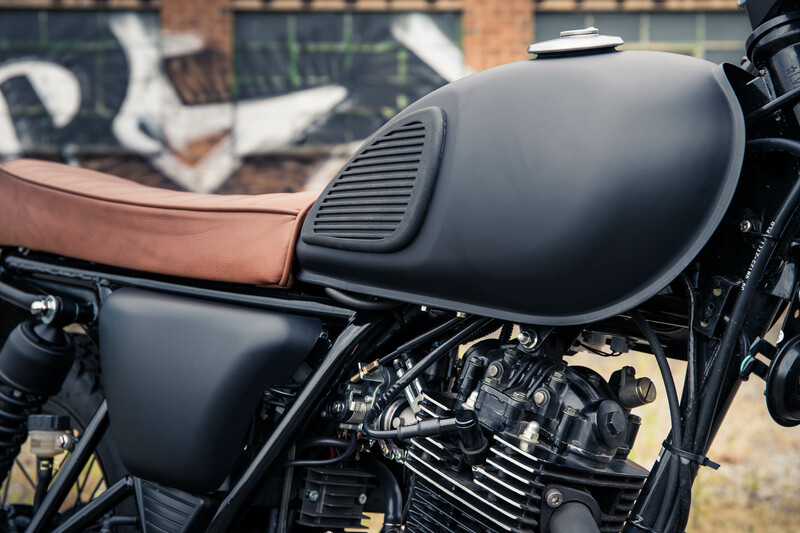 Nothing on sale today hits that true custom bike brief with the backing of a reliable, mass produced engine, a dealer network and a two-year warranty from the vendor. 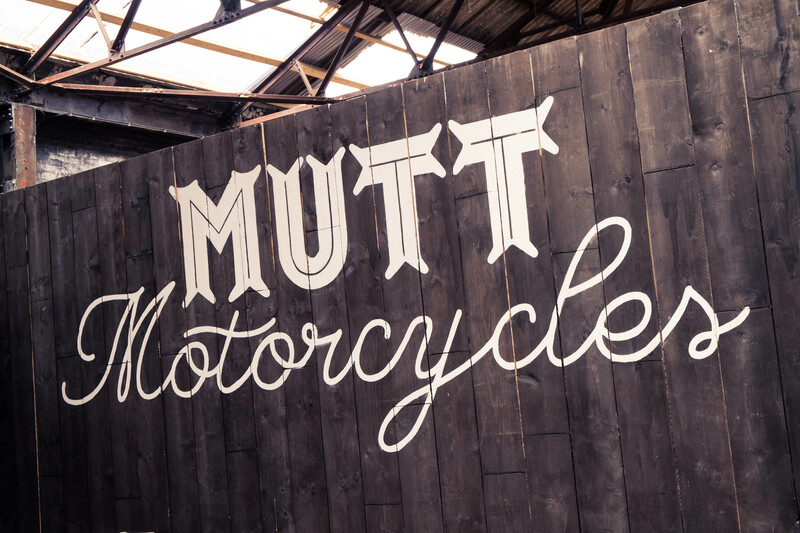 Some will scoff at the mere mention of ‘custom motorcycle’ but a quick visit to Mutt HQ reveals that these guys share the passion, with Benny, Mutt’s owner and co-founder, formerly of Boneshaker Choppers and absolutely brimming with stoke for bespoke machines. 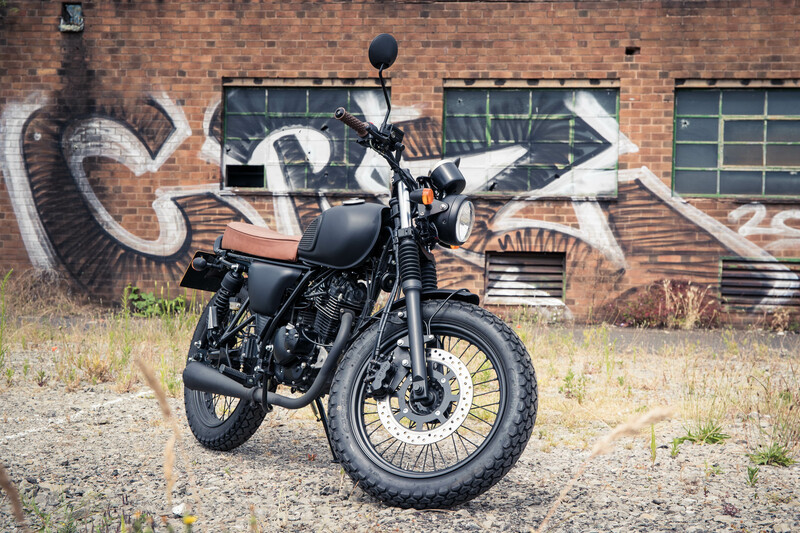 Yes, some of the Mongrel’s finishing kit might feel a bit budget, but the bike is fairly priced it will likely act as a stepping stone for buyers to consider larger, more outlandish custom machines in the future, which can only be a good thing for the industry as a whole.